i totally agree. 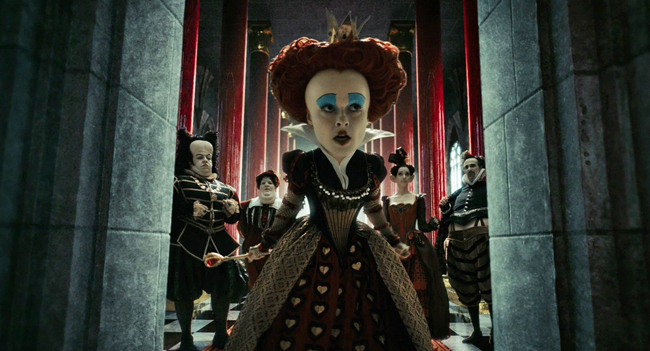 i haven’t finished “through the looking glass” but so far, the jabberwocky was just a creature in a poem Alice found in the room through the looking-glass and i think they made it too big of a component in the movie. also, i, too, hated Anne Hathaway’s character. it was way too fake. I am really surprised you didn’t like this film! I loved it! It’s funny though because a few others have said similar things to you. I think my love for Mr Depp might leave me blinkered where his films are concerned??!! You’ve probably right: I have been slightly more harsh than I should have, but just because my expectation was so high for this film and with all the ideas, clever designs and money put in the movie, it should have been a lot better than it was.